First, this is my 700th post on this blog. Thanks for reading and putting up with me. Almost exactly a year ago, I had my first Punkin Ale from Dogfish Head Craft Brewery in Milton, Delaware. I recently picked up their 2010 version and decided tonight was the night to drink it. Why, you ask? Well let me tell you. I recently purchased my second Marq Spusta print in his series commemorating Dogfish Head's seasonal beers. 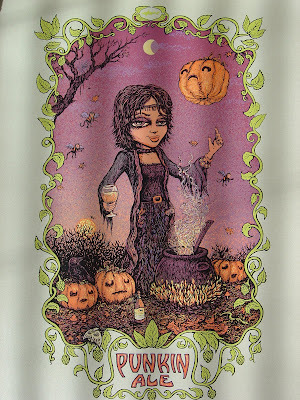 I missed out on Aprihop (but would love to grab that), but I was able to purchase the Festina Peche print (pictures of it framed, with review). The second one (for me) I mentioned is Punkin Ale, which I received today. Is that enough reason for you? Yeah, I didn't think so. Jeez, so demanding! So let's amp this story up a notch with a little drama. Mr. UPS guy rang my doorbell a few days ago and started to hand me a poster package. Yeah, I knew what was in it. Just as I was about to take it, a piece of paper fell out of one end. Oops! One end of the tube had nothing on it (and therefore nothing was inside the package, duh). He took it with him and marked "refused" on his little pad while suggesting I contact the shipper. Having previously purchased the Festina Peche print, I had a few email addresses from Dogfish Head that I reached out to right away. I had barely pressed send when I received a return email from a lady who signed her email Big Mama and has the title Celebration Specialist/Brewceptionist. Just another indication of what I love about this brewery and their creativity, highlighting their slogan "Off-Centered Ales for Off-Centered People"! Anyway, Big Mama felt my pain and disappointment from over a thousand miles away and made sure that a replacement was sent out that same morning. That was two days ago. 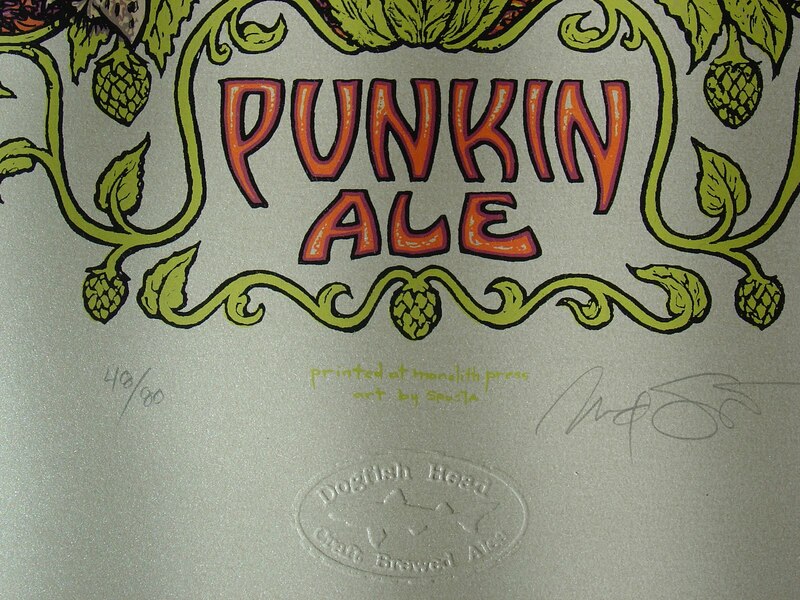 Today I received my Punkin Ale print from the same UPS guy, and this time he was grinning. It is awesome! Thank you, Big Mama and Dogfish Head! That is why today is the day to drink and review this beer! The label is simple. 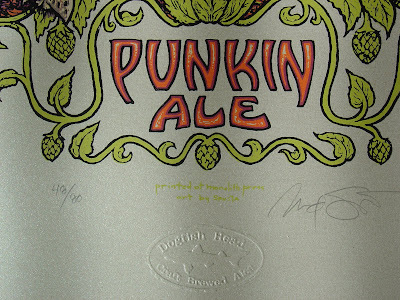 My Punkin Ale was bottled in 2010 23C. The aroma is malty Thanksgiving, fairly light. The flavors, however, are much more prominent. Pumpkin is not necessarily a strong flavor though. You start with some brown sugar, and if you use your imagination, it's baked into the pie crust. Granted the pumpkin flavors come next, but I feel they are a little more like your garden-variety vegetables than pumpkin, mainly because there is no sweetness. Large doses of nutmeg and cinnamon flavors do easily help you remember your Thanksgiving dream a few seconds later. Good balance in this beer, not annoyingly sweet or overly spiced, and the 7% alcohol gives just enough nip at the end to remind you that you always take the day after Thanksgiving as a personal day! Good body, nice carbonation. Very pleasant beer. I might try to cook with this one this Thanksgiving if I don't end up in (Thanksgiving-less) Colombia! 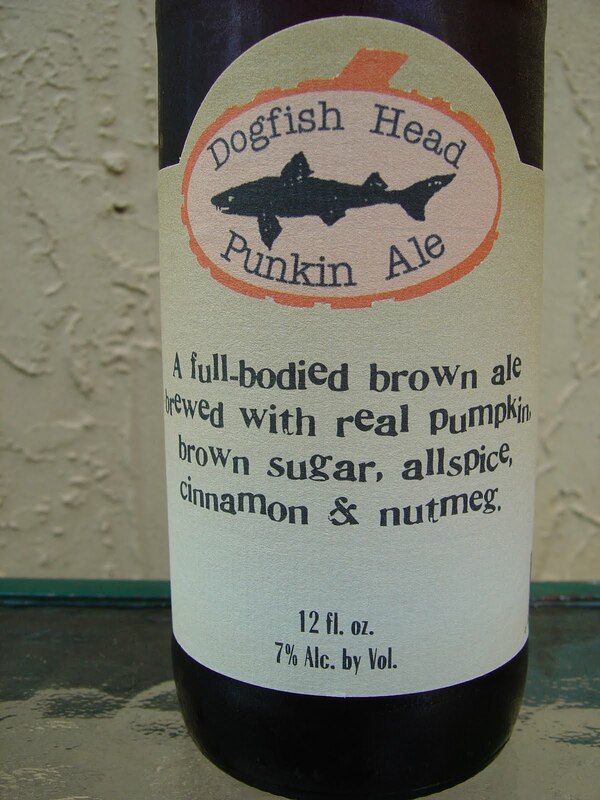 you know my feelings on pumpkin ales but this one actually sounds delightful! And - the BEST thing about my new job is that the day after Thanksgiving is a regular holiday. WOOT. I may have to pick up a sixer for the inlaws (and another six for myself). Yeah, this year I've only had this one and the one from Southern Tier. Both solid. I am taking Thanksgiving off this year and am heading to Savannah with some friends for the long weekend. So I will be drinking this and not cooking with it! Woohoo! Ooh Thanksgiving less Colombia! I wish Holland celebrated Thanksgiving. I wish many other things as well, like Halloween...I think I should move to the States. For sure the flavors all play on each other. With beer it's often a balancing act between malts and hops and sweet and bitter. People do cook with beer, but I don't have that much experience doing that. I guess for me, that statement was more wishful thinking. Thanksgiving is one of my favorite holidays. Dreaming of turkeys right now! My wife brought some of this home from the store yesterday and I popped one open last night. I loved it. 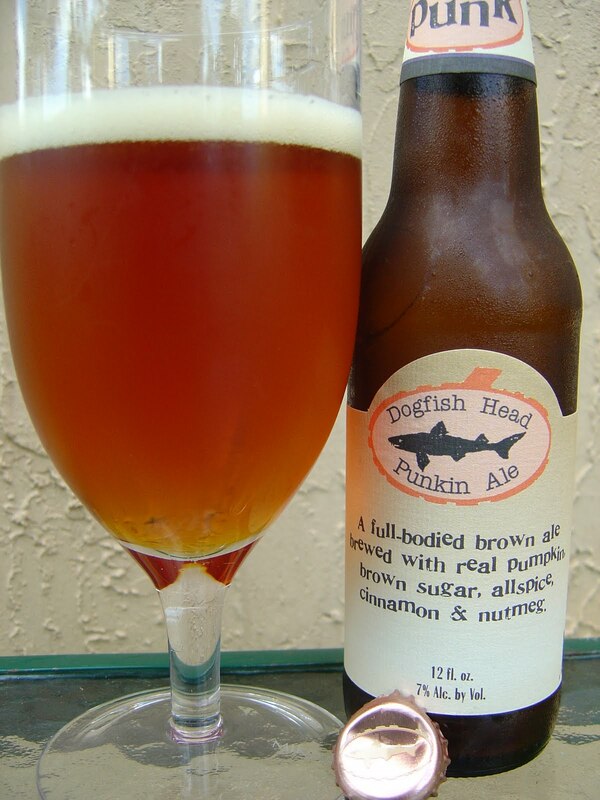 I haven't liked a lot of the pumpkin brews I've tried, but this being Dogfish and with your endorsement, I gave this one a try. Fantastic. Also, after watching "Beer Wars", I think Sam Calagione is my new hero. Glad you enjoyed it. Along with Southern Tier Pumking, it's one of my favorite Pumpkin beers. Big Mama from the story told me that Sam's wife sent this story to her the next morning. That's pretty cool!